One of our best show matches ever! 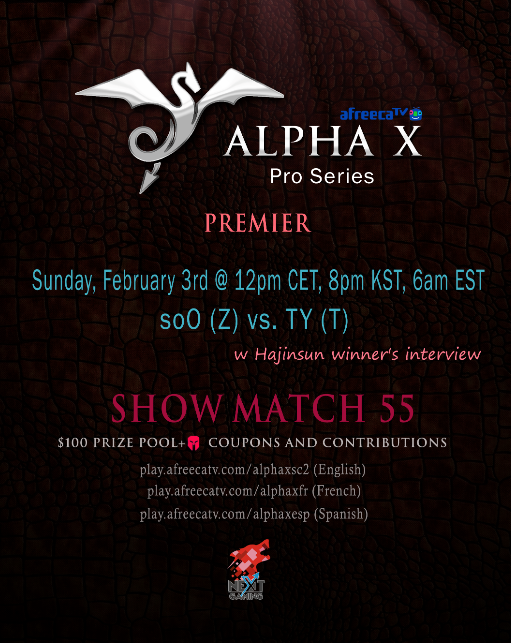 soO and TY will duke it out in a Bo9 series for $100 + that is sponsored by AfreecaTV. The showmatch will take place on Sunday February 3rd 12pm CET (8pm KST, 6am EST). Come tune in for this awesome ZvT series on our English, French and Spanish streams below. There will be a short winner's Interview with Hajinsun at the end as well.